So, naturally, I left immediately and went to go buy a dozen of Sprinkle’s finest frosted confections. The mere thought of going without cake left me in such a tizzy that I just had to consult my BFF on the matter (dessert) and find a solution. 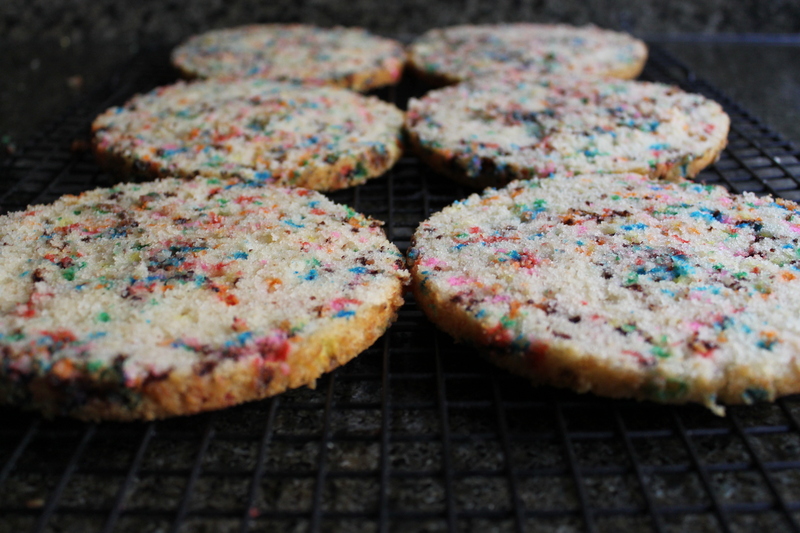 That solution was funfetti. Who in their right mind wants to cut out all sugar? ALL sugar?? Not just for Lent, not just mostly for that pesky diabetes thing, and not just for a trendy new diet that weaves a marvelous tapestry of you looking like Cindy Crawford in a matter of hours. ALL of it. Call me a piggy, but that is just crazy talk and I am having none of it. If I want to have a slice of cake, then back off Dr. McLamePants because my mound of whipped cream frosting may get in the way of your fun-free tirade. Preheat oven to 350 and grease 3 6" pans, 2 8" pans, or one 9" pan. 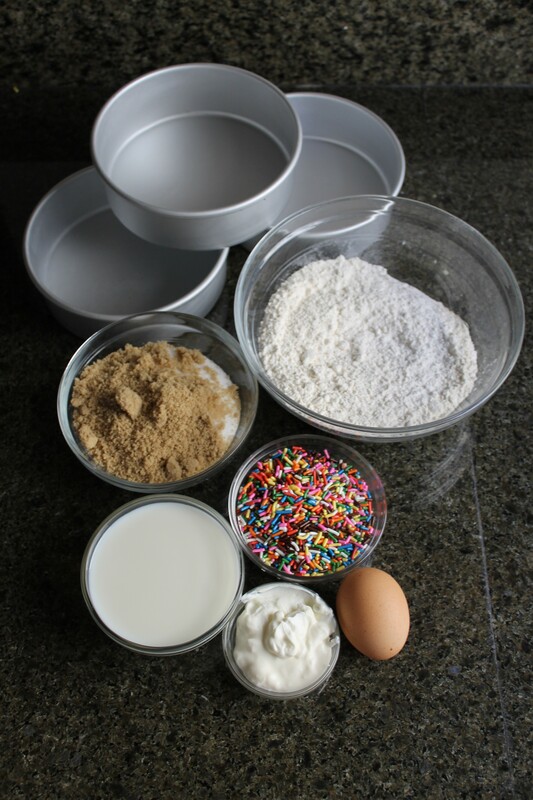 In a medium-sized bowl mix together flour, baking powder, baking soda, and salt. 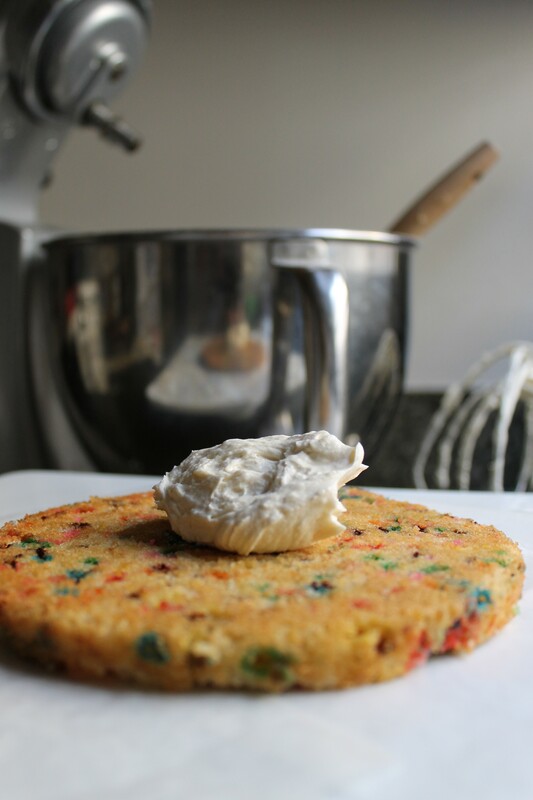 Melt butter and place in a large bowl and whisk in sugars until all lumps are gone. Whisk in the egg until smooth, then the yogurt, milk, and vanilla. Be sure to do one at a time and gradually, so that you have a smooth mixture at the end with no lumps. Adding ¼ c at a time, mix in the dry ingredients slowly until combined. 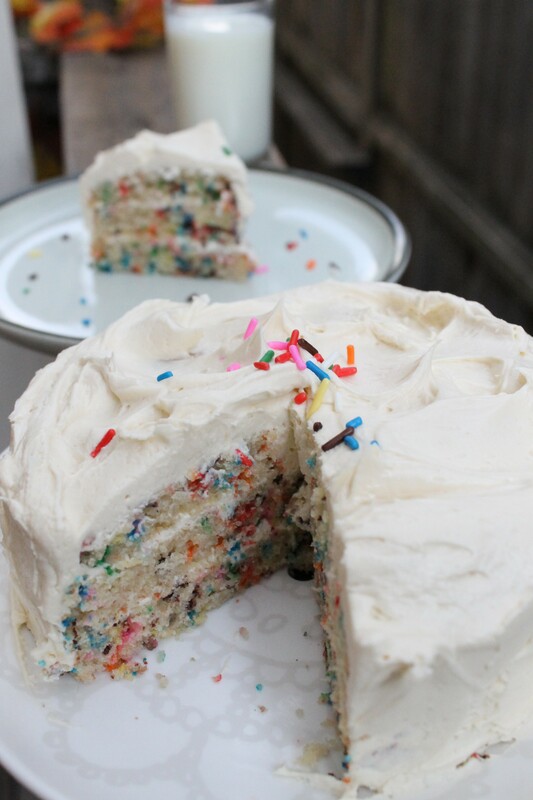 Fold in sprinkles until just combined-- do not over mix. Place batter evenly into prepared pans and bake until cooked through-- 30-35 minutes. A knife should come out with crumbs clinging to it (not batter!). 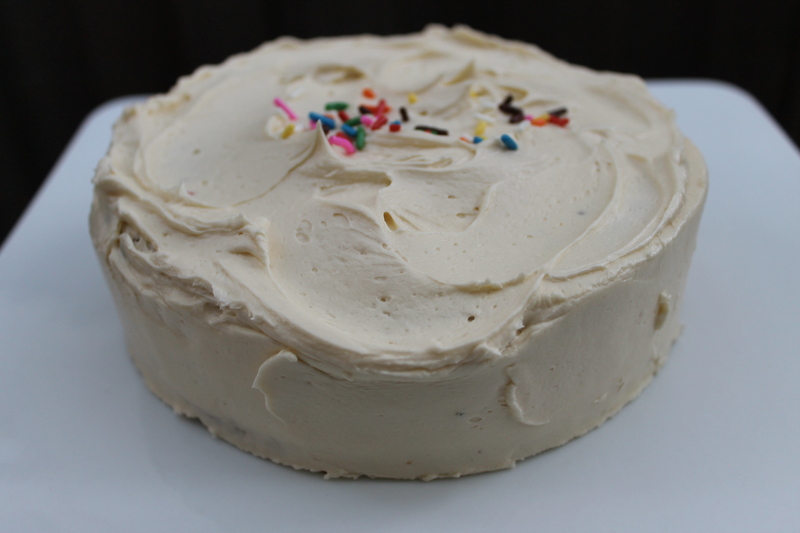 To make the frosting, beat the butter in a standing mixer with the whisk attachment until light and fluffy. Add in the sugar, one cup at a time, beating until smooth after each addition. Add the cream and vanilla and beat on high for several minutes, until it is very fluffy. Add salt and beat to combine. If the mixture is too thin, add ¼c powdered sugar; if too thick, add a splash of cream. Frost the cake. Eat the cake. Love the cake! I would love that!! Any trips west planned?? No flights booked but I’m hoping to come sometime in the next few months. I’m due for a visit! !